If you work with your hands a lot, they need the right sort of protection, and—according to a study by the Occupational Safety and Health Administration (OSHA)—work gloves decrease injury to the hands by as much as 60%, at least when it comes to industrial work. As you will find out by reading on, working gloves are very diverse: they can be used for outdoor or factory work, for cold or hot weather, and for activities like welding, cooking, and gardening. Regardless of your profession or your hobbies, the protection of your hands is paramount. What Material Glove Should I Get? How Much Does Dexterity Matter? Am I Getting the Right Protection? View the Best Work Gloves, Below. How do you Clean Leather Gloves? The best working gloves have things to defend you against cuts and abrasions to the skin, hard impacts, chemical burns, shocks, and cuts, and more. Through our deep research into hundreds of articles including professional and customer reviews, we’ve come up with our top ten list of utility gloves for handymen or handywomen accustomed to manual labor in a broad variety of conditions. For buying working gloves, you’re going to want to look into three main factors: the material the gloves are made of, the resistant improved dexterity of the gloves, and the protection the gloves can give you. Below, these factors are covered in detail. On the following list, you will discover different types of material such as leather and synthetic leather gloves, gloves made from blends of glass fiber and polyethylene, utility gloves that include fleece or cotton, and gloves made of rubber and spandex. There’s a lot to figure out when making your initial decision. What are you protecting yourself from (see below)? What sort of durability do you require? Are you working in the heat or the freezing cold? For the first question, if you need light protection, you should consider something thin like spandex. Other, tougher jobs may need a thick leather or something with lots of padding. The question of durability has basically the same answers: low durability gloves are thin, and high durability gloves are thick and have a lot more padding. Lastly, some of the gloves on our list have thin types of material with great breathability and even moisture-wicking technology to help reduce the problem of sweat that can arise when working under hot conditions. On the other hand, there are a couple gloves on the list that insulate well against cold weather. If you’ll potentially be working in hot and cold climates, it is well worth it to look into buying two types of gloves to suit your needs. The resistant improved dexterity of a glove determines how well the user is able to maneuver their fingers and how well they can grip surfaces. If a task requires a lot of fine motor skills, dexterity is important if the worker doesn’t want to have to take their utility gloves off all the time to accomplish things like picking up nails that have fallen or planting delicate flowers. As hinted at above, gloves with an overall thinner material will allow for a fuller range of movement. Thicker, more padded gloves have a more limited range. But the most important factor for finding a glove with a great dexterity is finding a glove that fits comfortably. If your pair of work gloves is too big, there’s a lot of excess bulk and fabric to work around. If they’re too small, your movements can be cramped and restricted, slashing your ability to finish your job. Protection is key when it comes to working gloves. After all, if you could do your job without fear of cuts or scrapes, you could do it all bare-handed, with greater dexterity to boot. Whether your job has you gripping stone, insulation, or other rough objects, the right working glove can save you a lot of hurt. The gloves on our list come with protections like high cut resistance from knives and other sharp objects (the NoCry Cut Resistant Gloves). Protection from heat (the Lincoln Electric Traditional Welding Gloves), or even comfort protection from arthritis and fatigue (the Bionic Rose Reliefgrip Gardening Gloves). In general, it’s been agreed upon that synthetic leather is stronger than real natural leather. Mechanix’s specially made Material4X is a synthetic that is even stronger. What makes utility gloves work on touchscreens? To understand touchscreen-capable gloves, you must first understand that most touchscreens today are called capacitive touchscreens, and they work by interacting with the electricity humans naturally conduct. A touch from a finger disrupts the screen’s electrostatic field and triggers a response in the device. However, normal gloves insulate the electricity of the human body and block it from reaching the screen. To combat this, many specially made gloves will have conductive thread or yarn woven into the fabric. For fabric gloves on our list that have some touchscreen capable fingers and thumbs, please see the Mechanix Wear FastFit Insulated Gloves and CLC 125M Handyman Flex Grip safety Work Gloves. Of the ten products featured here, there are working gloves for every occasion. A few can handle almost any job, while others are strictly for cooking or welding or gardening. In perusing this list, you’ll find there’s something for everybody here. From belts to tool bags to gloves, CLC provides an amalgam of products that offer both safety and convenience while on the job. Their Handyman Flex Grip gloves are a testament to this aim. The Handyman Flex Grip’s spandex makes them flexible and gives them great dexterity. Their synthetic leather provides a resistance to shrinkage, while also making them ideal for wet working conditions. They are insulated with cold weather in mind. The Handyman is crafted of synthetic leather that works when water is involved. The leather is sturdy enough for protection while also being comfortable on the hand. Three of each glove’s fingertips are able to be used on touchscreens. The spandex makes it easier for the hand to move and pick up small items. The synthetic leather is much harder than regular leather, shielding the hands from all kinds of damage while working on a wide variety of jobs. See more information on CLC 125M Handyman Flex Grip. Mechanix’s Material4X is a special synthetic leather microfiber that is touted to perform better than any other synthetic leathers currently on the market. The Material4X microfiber is great at resisting abrasions as well as tears, making the gloves long-lasting. The TrekDry material allows for an increased breathability that’s good for summertime. The dexterity and control are great. Still, these gloves are hardy enough to provide ample protection while working. The Material4X for which these gloves were named is made of a polyester and spandex blend that are both wrapped around a strong inner core. It is a very tough material made as an alternative to leather. These gloves are water resistant. Their extreme durability promises that they’ll last a very long time, regardless of what kind of work you use them for. They are machine washable. If synthetic leather is tougher than regular leather, then Material4X is synthetic leather 2.0, protecting the hands even better. See more information on Mechanix Wear – Material4X. The NoCrys are in a class of their own, not suitable for the multi-purpose jobs that the Mechanix Material4X gloves and CLC 125M Handyman Flex Grip gloves can handle. 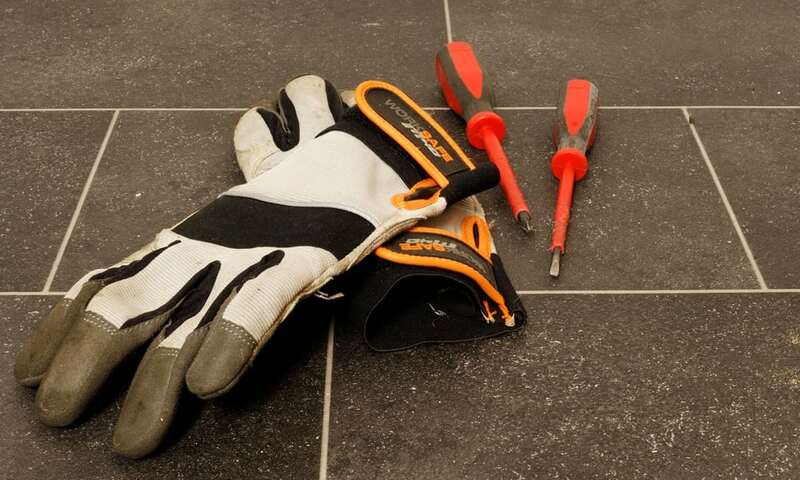 Rather than being used for electricians, handymen, or welders, the NoCry gloves are ideal for a cook who handles sharp knives or even for someone who has to pick up broken glass in their home. Their special blend of materials makes them four times stronger than leather. They are machine washable and completely food safe. They are lightweight and snug enough that you will have no problem performing small, complex tasks. These gloves are made of polyethylene, spandex, and glass fiber. The gloves’ washability makes them easy to keep clean. The gloves are a snug enough fit that they don’t risk knives getting caught on the fabric. They earned a grade of level 5 cut resistance, the highest ranking possible. See more information on NoCry Cut Resistant Gloves. At the Daytona 500 in 1991, a team of race mechanics saw a need for a durable glove with high dexterity for their fast-paced work and created the Original Mechanix Wear glove that is still used today. This was the very beginning of the popular Mechanix brand. They have gone on to make more gloves, including Mechanix wear tactical and automotive. The index fingers of these synthetic leather gloves are double-stitched for more durability. They can be used for automotive, electrical, maintenance jobs, and general heavy-duty work. These gloves have a great dexterity with their seamless palms, and at the same time, they don’t compromise on protection. These are made of a synthetic leather. Just like the Mechanix Material4X, the TrekDry material is totally breathable and keeps the hands from overheating. They are also machine washable. Made at first for the trials of race mechanics, these gloves will endure for you for years. See more information on Mechanix Wear Original. These gloves are a little different in that they are specifically tailored to resist the heat of welding. If you’re searching for welding gloves, you can’t go wrong with Lincoln Electric . They’re made of heat-resistant split cowhide that works for all types of welding including MIG welding and stick welding. The insides are a comfortable cotton that add even more heat resistance. The welted seams and Kevlar stitching heighten the gloves’ durability. The light weightiness of these gloves gives them a great dexterity for day to day tasks. These welding gloves are the only ones on our list with a cowhide exterior and cotton interior. Obviously, they are not good for using outside, especially in hotter weather. 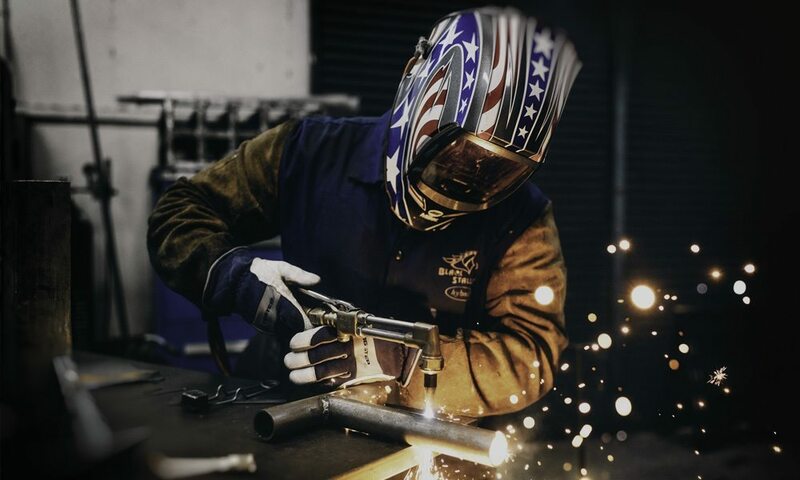 Lincoln Electric’s gloves are made by expert welders who also produce all manner of welding equipment. The design for these gloves was made from firsthand experience that will protect your hands from burns or other welding accidents. See more information on Lincoln Electric Traditional Welding. Carhartt has been producing outdoor accessories, starting with overalls, since 1889. They produced military uniforms for the government during World War II and now make shirts, footwear, and pants. The Fast Dry material serves to reduce sweat, much like the cooling and drying technology of the Bionic Reliefgrip Gardening Gloves below. Made primarily of spandex, the Fixer Carhatt Mens glove is a good glove for flexibility and dexterity. The Carhatt mens Fixer gloves are pretty tactile with a high dexterity due to the spandex material. The spandex makes for a thin and breathable material. Add the Fast Dry material mentioned above, and these gloves are perfect for working in the heat. They have water repellant palms. The index fingers and the thumbs have reinforced patches that reduce everyday wear and tear. The protection offered is adequate for lighter work. For more strenuous work or more severe cold weather, a thicker, more padded glove would serve you a lot better. See more information on Carhartt The Fixer Glove. According to the official Ironclad website, these Ranchworx gloves are most particularly suited to “ranching, forestry, HVAC, search and rescue, heavy equipment operation, driving, construction, [and] heavy cable and wire handling.” With such a wide range of activities, the Ranchworx will likely function well with any sort of manual labor. These machine washable gloves can take a beating with their Exo-Guard protection, Kevlar fiber, and Rolltop fingers for extra durability, dexterity, and safety on the job. The Rolltop fingers and palm design advance the control you can get out of these gloves. There are both Kevlar and Duraclad reinforcements for the best of durability. The Bullwhip leather won’t dry out when wet. On the backs of the thumbs, there are terrycloth areas for wiping away sweat from the face. Overall, these are thick and well-padded gloves that give heat resistance. The Exo-Guard and the double layering of the Rolltop fingers give your hands the best in protection against impacts and abrasions. See more information on Ironclad RWG2-04-L Ranchworx. Maxiflex gloves are developed by ATG, a company dedicated strictly to gloves whether for dry, wet, or chemical environments, as well as gloves for handling sharp objects. Specifically, these Maxiflex gloves are made for dry environments that require precision handling. The Nitrile coating (Nitrile is a synthetic glove good for those with latex allergies) helps resist abrasions to the hands while lending the user a solid grip. The microfoam coating makes these gloves incredibly breathable (in fact, they are billed by ATG as “the most breathable glove on the market today”). The thickness of the palm is only one millimeter (thinner than most other gloves in its class). 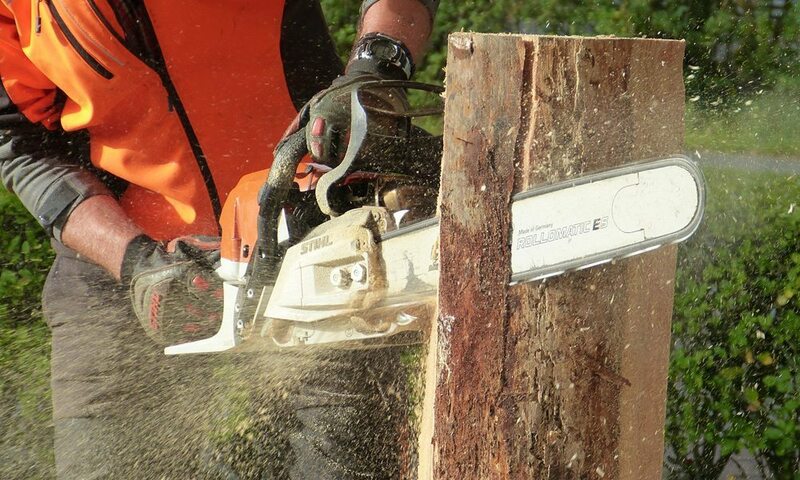 This makes dexterity and control easier, meaning they can be applied to a large variety of jobs. The material is very light and great at keeping the hands comfortable and cool. The best the Maxiflex gloves can offer is their endurance against abrasions to the skin. See more information on Maxiflex 34-874 Ultimate Nitrile Grip. Bionic Gloves makes not only gardening gloves, but also golf gloves, fitness gloves, equestrian gloves, winter gloves, tennis gloves, and more. Designed by an orthopedic hand specialist, the Bionic Reliefgrip Gardening Gloves are made to be comfortable even for those suffering from arthritis. Like all of Bionic’s products, they are available in sizes for both men and women. The strategically placed pads reduce the risk of getting blisters and calluses while increasing the grip strength. The LightPrene wrist closure supports the wrist while also keeping out any dirt. The silicone fingertips are there to increase durability. The pads provide the strong grip and dexterity that are necessary for taking care of a garden. Inside of the gloves are small terrycloth towels that cool and dry the hands during the peak gardening times of summer. The web zones make these already soft gloves even more comfortable and also provide flexibility. They are machine washable. With prevention of not only potential calluses and blisters but also relief from arthritis, the Bionic Reliefgrip gloves have got you covered in a multitude of ways. See more information on Bionic ReliefGrip Gardening Gloves. Aside from the CLC 125M Handyman Flex Grip gloves we talked about a little earlier, the Mechanix Wear FastFit Insulated Gloves are the only ones on our list that are so adapted to cold weather. With so much insulation, these may be the best for a cold outdoor workspace. These fleece-lined gloves protect against the cold while also having a couple touchscreen capable fingers on each hand (thumb and index finger). The snugness of the fourchettes around the fingers and the two-piece palm both make for a close fit that increases total dexterity. The stretchy fabric is resistant to both water and cold wind that would otherwise bite at your hands. The gloves are machine washable as well. The synthetic leather palms, as well as the nylon over the knuckles, guard against abrasions. Overall, the cold protection is great, with the warm fleece lining and insulating the glove completely. See more information on Mechanix Wear – FastFit Insulated Glove. Most of the natural leather and synthetic leather gloves on this list are actually machine washable so there’s nothing to worry about. But if you want to be sure about giving your natural leather working gloves a little more care, the process is pretty simple. First, dampen a paper towel and lather it with a little saddle soap. Put on one of the dirty gloves and massage the soapy paper towel into any messy areas. Then rinse away the soap and any dirt with a new dampened paper towel. After all, this, allow your glove to air dry. What are the warmest winter gloves for working? On our list, there are two pairs of work gloves that stand out for providing protection against the cold weather. These are the CLC 125M Handyman Flex Grip Work Gloves and the Mechanix Wear FastFit Insulated Gloves. The FastFit gloves have a thickness of 0.6 mm and have an all-around fleece lining aimed at keeping you warm. The Handyman Flex Grip Work Gloves are good for warmth as well but don’t have any fleece. Therefore, the best bet for winter is probably found in the FastFit gloves. Before making your final purchase, you’ll first have to consider your work environment, exactly what kind of protection you need, and how long that protection will last until you have to buy a new pair of work gloves. If you garden for an hour every day or do light labor, some thin working gloves will serve you well. Heavy labor or otherwise intensive hobbies deserve a lot of padding to increase durability. In general, you’re most likely looking for protection, whether from cold, heat, abrasion resistant gloves, or other harmful effects. Whatever your choice, remember that the industrial gloves have to have a snug fit that won’t get snagged on any outside materials. Likewise, poorly fitting industrial gloves can cause blisters. Trying on gloves in a store is a lot easier than ordering online and hoping for the right size, but you should always return ordered working gloves if they just don’t fit right. In the long run, you may have to try many fits and styles of gloves until you find the most durable, protective glove for your job. We hope you can use this article as a starting place for finding the gloves that compliment you and your work best! Gloves with rubber dots on the fingers and palms will have a superior, excellent grip compared to smooth surface gloves. Working gloves with inside seams are more durable but are liable to chafe your skin. See this glove selection guide for more help. We hope you enjoyed our article on "The 10 Best Work Gloves", if so, please share and rate it.